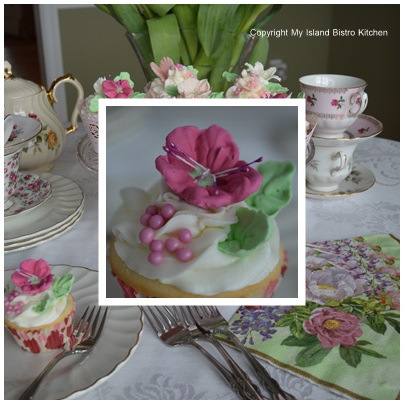 My Island Bistro Kitchen Celebrates 2nd Anniversary! Today marks my second anniversary of food blogging! 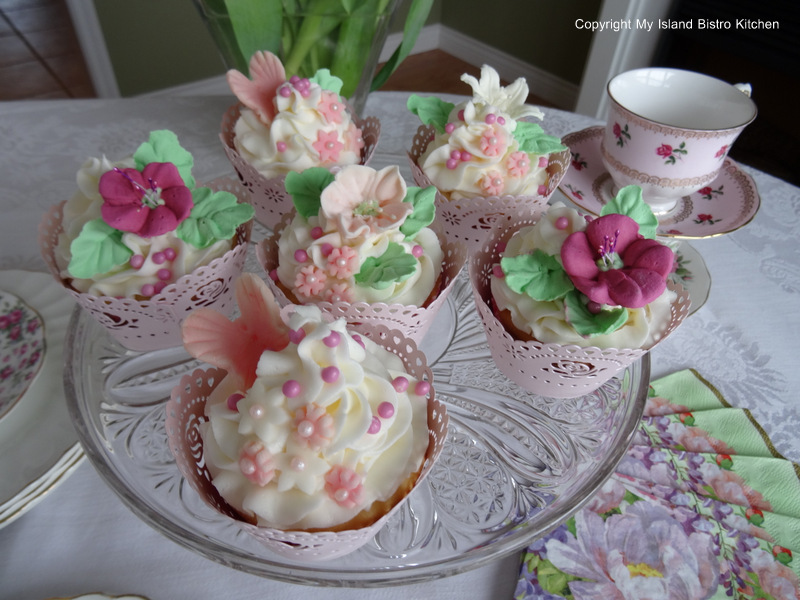 To celebrate, let’s have cupcakes and tea! I can’t believe that two years has flown by so fast! Lots of interviews, stories, and recipes have found their way on to my blog over the past two years. Since the core focus of my food blog is on local products, I don’t often post photographs of my cake and cupcake decorating activities. However, since this is an anniversary, I thought some decorated cupcakes would be suitable. Of course, I chose some beautiful rose-colored tulips from Vanco Farms in Mount Albion to mark the occasion. Aren’t they stunning! Grown in hothouses right here on PEI. 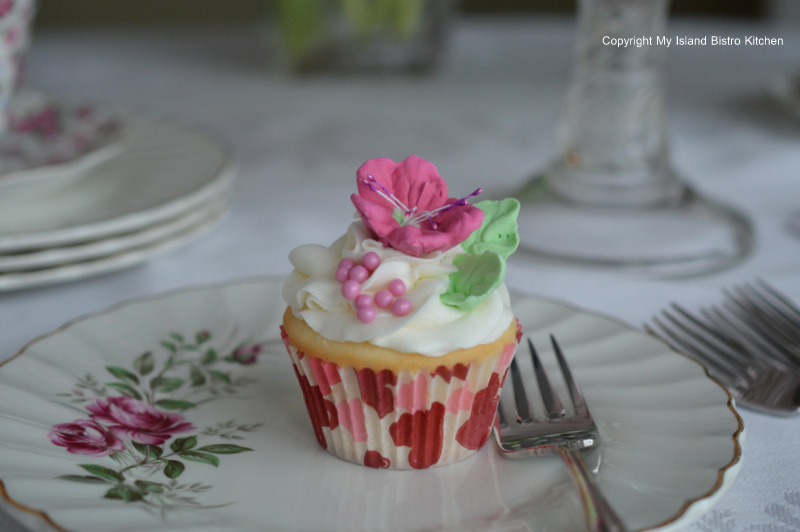 Cupcakes lend themselves to so many options in decorating. 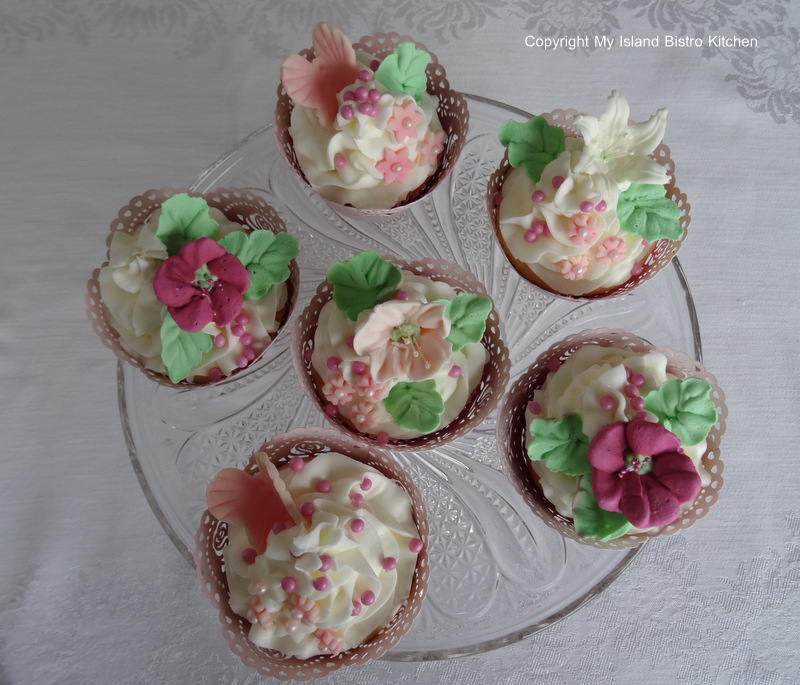 These miniature cakes can be dressed in cupcake wrappers as I have done with these. 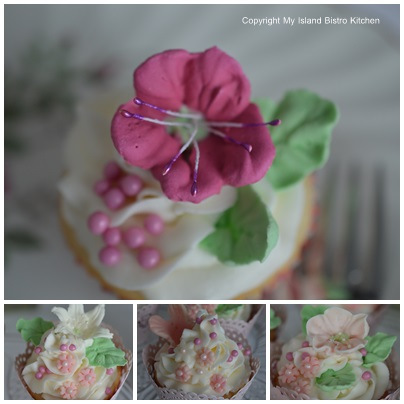 I handmade each of the flowers and leaves appearing on the cupcakes. 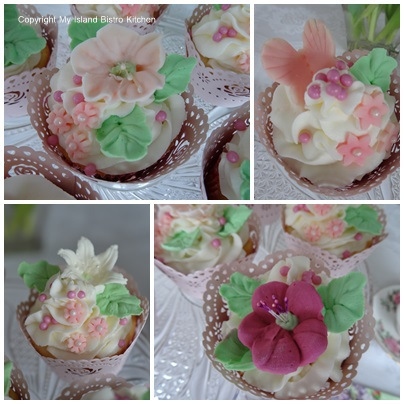 While I most often work with fondant, these flowers are made with royal icing. After all the holiday reds and greens from the Christmas season, I must admit it was kind of nice to see a color pallette change with the pinks and rose shades. 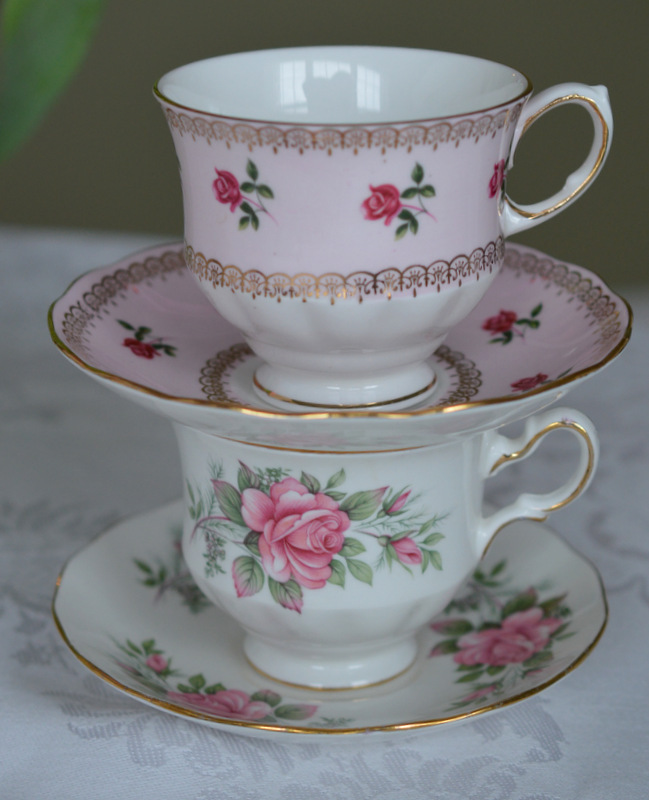 Part of my pink collection of teacups blended right in. 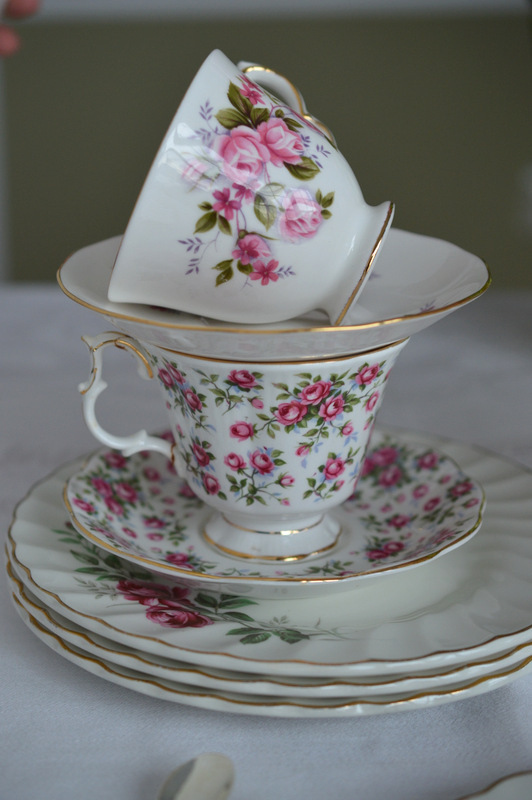 I love china teacups and saucers and like to find opportunities to use them. I think it’s true. If you choose items in your favorite color(s), you will find everything will blend together. 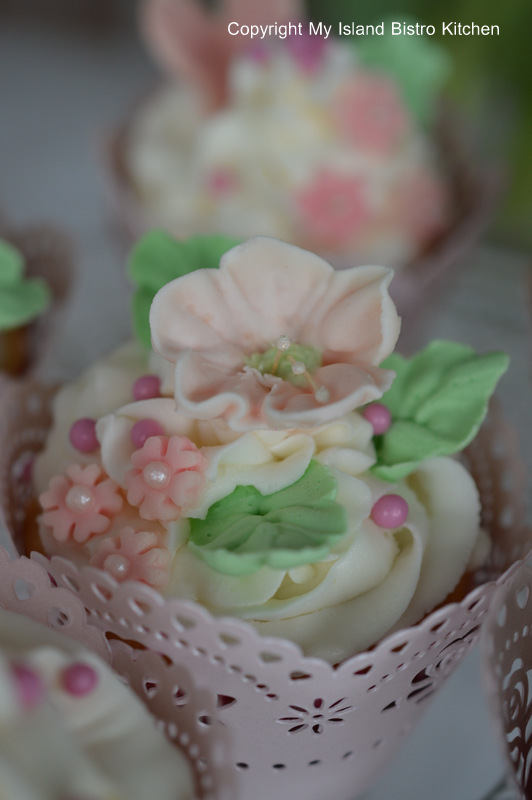 Who can resist these delicate cupcakes decorated with apple blossoms, lilies, and butterflies! Makes you think spring really will come, doesn’t it! 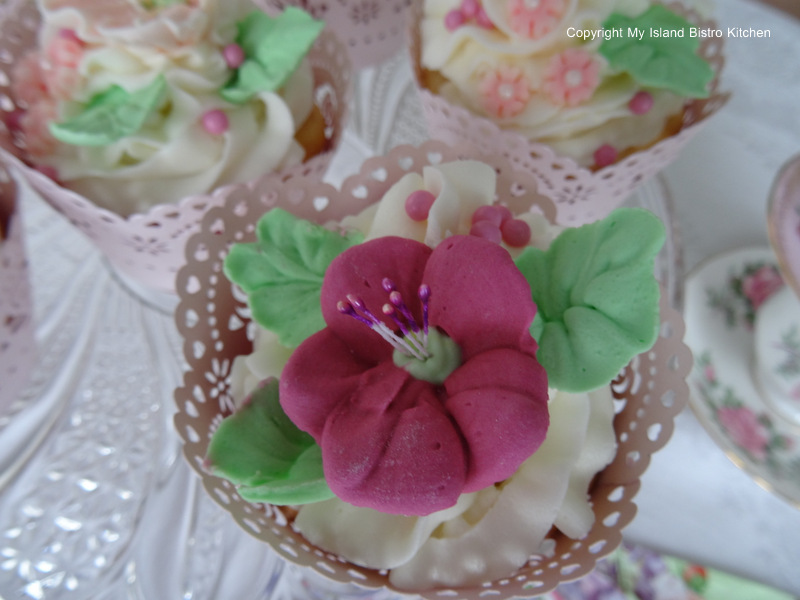 Even though they are pretty and decorative, they were made for eating! I hope you have enjoyed this little glimpse into the anniversary party celebrating my second year of blogging. I do want to thank those who were willing to be part of my food blog by being interviewed about their product(s) and allowing me to tell their story. PEI is Canada’s smallest province but we have fine food and beverage producers on this Island who are doing remarkable things with food and beverages. Thank you also to those who have taken the time to visit my blog and read the stories and recipes I have shared. I hope it has given you a glimpse into the food scene on PEI. I have a great line-up of stories planned for 2014. I hope you will come back to my blog and visit me often. 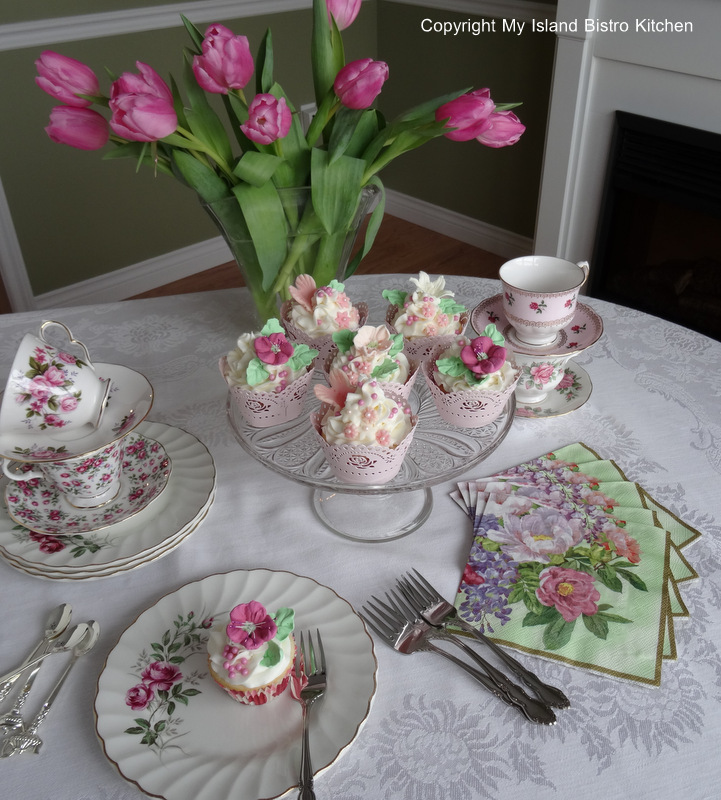 I will be joining Tea Time Tuesday’s 4th Anniversary Party at Rose Chintz Cottage on Tuesday, January 21, 2014. 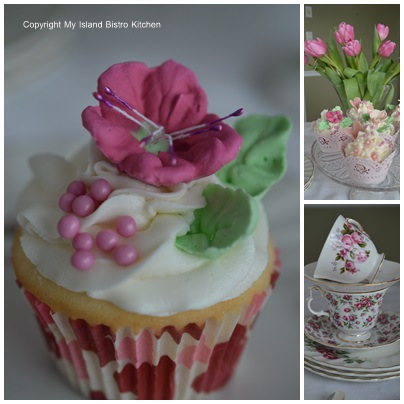 I have an active presence on Facebook and you can find me there at My Island Bistro Kitchen. You may also wish to follow me on twitter @PEIBistro, on Pinterest at “Island Bistro Kitchen”, and on Instagram at “PEIBistro”.